...we uncover why most times you see "My account got hacked!" in places like the forums or IMVU Discussions. But were they hacked, or scammed somehow? Phishing has been around for a very long time. There is a reason for that too. It works. It works perfectly even today. The best way to combat it, is to understand it a bit more. Say someone in IMVU contacts you, and tells you that your account is going to be banned for 25 years if you don't log into your account online, and reply to them, or whatever they ask you at that time. Then they give you a link that is NOT www.imvu.com. What do you do? Well, first of all, flag the message. If it's really staff, they won't even care about you flagging it. Or you can wait and flag it a little bit later as well, no rush just yet. The next thing you should do is, check your email that is linked to your IMVU account. That's right, make sure you have a reliable email attached to your account. Yes, all of them. Now that you are at your email tab, you see anything from IMVU inc.? If you are about to be banned or have already been disabled, you will find a message in here from IMVU inc. who uses the email address no-reply@imvu.com. Nice and cozy and safe, within the walls of your reliable, and private email address. So now what? Is this message really from IMVU, and do I really need to log into the website they are trying to give me? Probably not. But hey, lets test this shall we? What? You don't wanna try and test it with your email address and password? Heck, I don't blame you, so here, let's just pretend. So we click the link (DO NOT click the link if you haven't yet!) and find ourselves on a page. It looks exactly like the IMVU login page. But, is it? If you go up top, to the address bar, does it start with www.imvu.com? I bet it doesn't. I bet it looks kinda like it does, but something is different there. So, here are my thoughts on this. I think we are on a non-IMVU page, and truth is, we are already logged into IMVU. So let's delete all the crap out of this address bar, and just simply type www.imvu.com and hit enter. What do you think is going to show up? That's right, more than likely you will find, you are already logged into IMVU. So, why was that page telling you to log in there? Ah right. That page was just a keylogger. It logs your email address and password, for someone else to use later. So now what to do? Well, I can't tell you what to do with that message yourself, just don't use it to log into IMVU. You can flag it, report it to IMVU staff, get them "busted" and they will be back on a new account in an hour maybe. You may do this a couple times a week even, but hey, now at least you learned this way, of protecting your account. Know anyone else who might need to learn this? Just shoot them a link directly to this post. Tell them Manda said, "Its story time, and I am the princess in this magic castle, wanting to take your mind on an educational..." Sorry, pain med's just kicked in, I think it's time for bed. If interested I found some additional information of this type of scam, and how you can keep your bank accounts, pixelpusher.info account, match.com, or even your hellokittyland.com account safe too. Last edited by MandaMarie on Sun Apr 02, 2017 10:42 pm, edited 2 times in total. "So, I clicked the link and logged in with my email and password. What do I do now?" First thing is the most important, and you should have already made sure this is not an issue. Never use the same password for your email account, as you do for IMVU. Make sure they are both very different. If you log into a phishing site, and you use your email and password there, now, they have access not only to your IMVU account but your email as well. Let's get on to the steps we need to follow, to make everything hunky dory again. "I just typed my email and password into this page that looks like IMVU, but it didn't do anything when I clicked Login." First off, if you caught it quick enough, you can go to the IMVU login page, you know, the official one at www.imvu.com, and click on the "Forgot password?" option. From there you can send a link to your email address to change your password. Also now is a good time to change that email password too, if you haven't already. Once you have a fresh new password, well, go to your IMVU account page, where you check your messages at http://www.imvu.com/catalog/web_index.php and see if your account sent off messages to anyone, telling them they needed to follow some link. If so, you might want to open up a ticket with IMVU as you might see a disabled account coming your way soon. You need to contact IMVU to let them know what has happened, and that you have since recovered your account. Also, be ready to prove who you are to IMVU. They will want to know for sure, it really is you who recovered the account. More on this later. "My account is now disabled!" Let's look back to your email account. Look everywhere for something from a person named IMVU inc. That's right IMVU has probably already messaged you there, stating why it is your account has been disabled. There is also probably something in that email about recovering your account. But don't panic. That's right, now that your account is within the safety of being disabled, the phishers can't do any more harm. So, let's look for an email from IMVU inc. that says anything about your email being changed. If so, open that email and find where it says "No, I do NOT want to change my email address." If you didn't issue an email change to your account, I can assure you the phisher did. So, click the link "No, I do NOT want to change my email address." now. You should also receive yet another new email from IMVU inc. telling you to change your password. Go ahead and change that now (again). No, don't use "incorrect" as your password. If you type in the wrong password one day, it will flat out tell you "Your password is incorrect!" Now let's see if we can't get your account back. You will need to open a ticket with IMVU. Once disabled, the ONLY people who can help you, are actual IMVU staff members. The forum (discussions) moderators will only direct you to file a ticket. They cannot get your account back for you. You need to create a temporary login, as detailed here. Okay so now that we are logged onto the IMVU help site, let's file that ticket. First hit the button that says "Submit A Case." Type something friendly in the subject area. Remember this go's to another person, you want who helps you to be happy. Under "Case Catagory" select "Safety." Then under "Topics" select "Hacked Account." From there, well it's simple. Just fill in as many fields with information as you can. Once you have your ticket up and running, IMVU might ask you for proof of who you are. They may even go as far as asking for a picture of your government issued identification card, as well as the last credit or debit card you used in IMVU. The main thing you want to do at this point is, be direct with the person responding to your ticket. Don't overload them with all the information of "Why you were hacked." The only information you need to give them now is proof of who you are. All the other information is only going to slow down their responses to you. Knowing why your account was disabled in the first place, it wouldn't hurt to combine step two with step one, and just send them that stuff right away. Never know, you could even get your account back an entire day earlier. Whether you did or not, or if you do not agree with this information, please post a reply, or contact me directly at MandaMarie@IMVU. I will always be looking to keep this article up to date. So as things change in IMVU, I will always do my best to keep this information up to date with anything new. Want to link to this topic in IMVU? I also put together a post on this subject in the PPC IMVU group here. Last edited by MandaMarie on Mon Apr 10, 2017 9:33 pm, edited 3 times in total. It is great that you posted this Manda. However, the sad part is that even with the information put out there on how to avoid being phished and/or scammed and what the warning signs are, people still fall for it. Because some people are naive, greedy or just plain stupid. People need to just simply need to use common sense when it comes to protecting their account. I won't lie, in the past I found myself almost taken by such scams, however, when that fake log in page came up, I would always tell myself that I didn't log out and would click on the back button and find that I had not indeed logged out. So, yes...Just plain and simple common sense along with information (if people actually pay any heed to it) goes a long way to protecting one's account from being stolen. I don't like clicking any weird links. I once had a random account send me a link (without context) I just flagged the message and a couple hours later I noticed the account was disabled. I highly suspect that was a phishing or malicious page they sent. I had another encounter where someone said they wanted help after inviting me to a private chat. I asked them what they needed help with (I had time so I did not mind) then they said something vague and gave me a link. I got suspicious and sure enough they left when I asked about it. Unfortunately some people are on such high alert they are scared to click any links at all. I remember there was a fairly broke user that really wanted another skin (this was shortly after the Plus items came out so I decided to link them to that). They did not want to click the link and thought it was suspicious. I did try to explain how they could find them from the webpage themselves too, but they left. 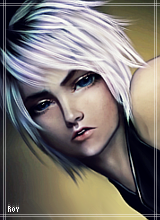 Modified to include a link to the PPC IMVU group post that will, in turn, direct people here.